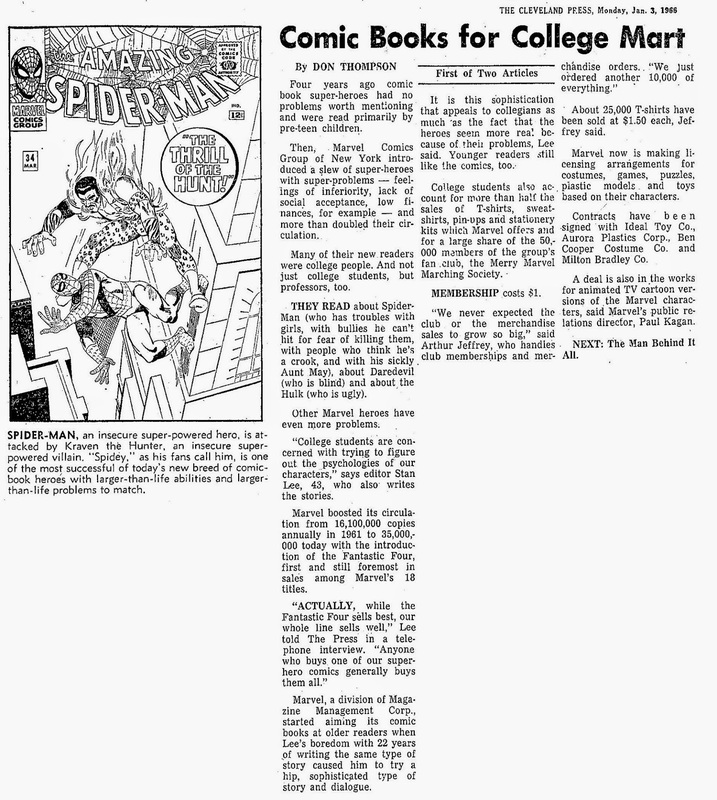 I've always found it highly frustrating, that some of the attacks on Stan Lee in the now legendary Stan Lee vs Jack Kirby flame wars centre around articles such as this two parter, mainly because Lee, and Kirby for that matter, had zero control over what was going to be written about them in newspapers and magazines. Reporters would visit the Marvel offices in the 1960s and 1970s and find Lee, who was articulate, engaing and entertaining, and write their stories accordingly. Perhaps if Kirby was in the office a bit more often he'd have gotten some more print ink. I have no doubt that Lee would mention his artists, and other writers, in the same way that I have no doubt that such mentions were merely edited out of the finished product for space reasons. Plus who, back then, really cared about the artists? Only those in fandom...or did they?